The statement earrings are lovely. My shoulders are really bony but for spring, I am going with floral patterns on silk, jacquard and satin. Thank you. Love your spring trend pick. I’m leaning towards pairing floral romantic pieces with heavy thick soled sandals. There’s something about that contrast I find really appealing. 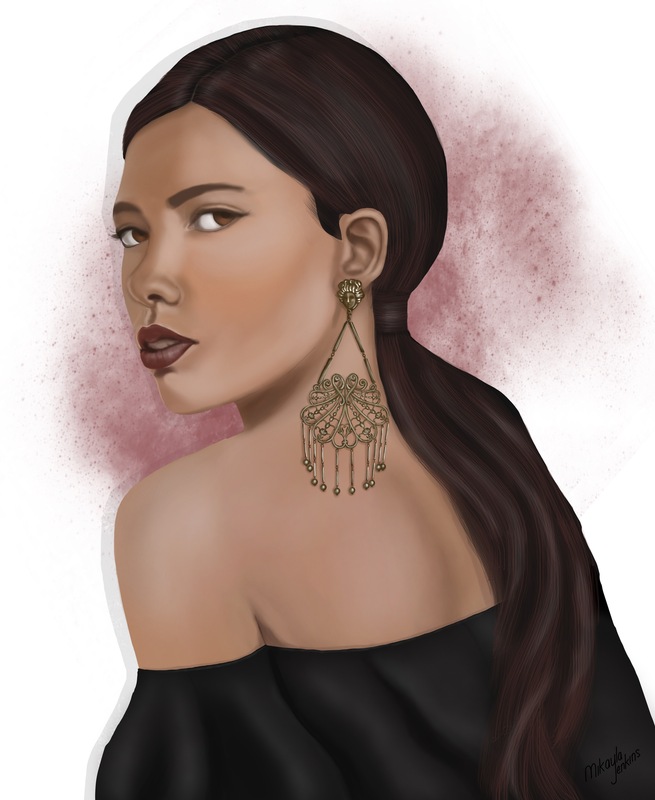 Wow this illustration is really lovely Mikayla and those earrings are gorgeous! I love all the ornate little details you’ve included in the image. I really like the combination of an off-the-shoulder top with ornate earrings, as it accentuates the shoulders for a very graceful look. Thank you, Saba. I agree that it does make for a very graceful aesthetic.